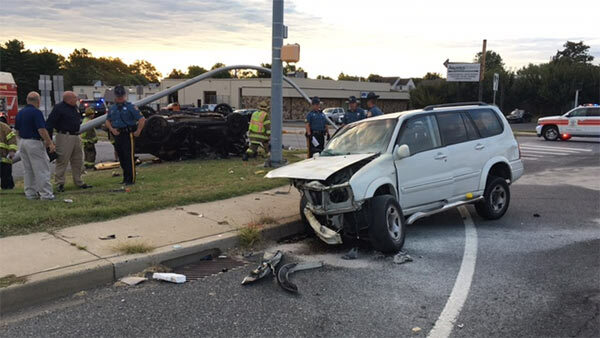 PICTURES: PICTURES: Scene of 2-vehicle collision in Wilmington Manor, Delaware that injured two teen drivers. WILMINGTON, Del. (WPVI) -- Two vehicles collided injuring teens in Wilmington Manor, Delaware Thursday morning. 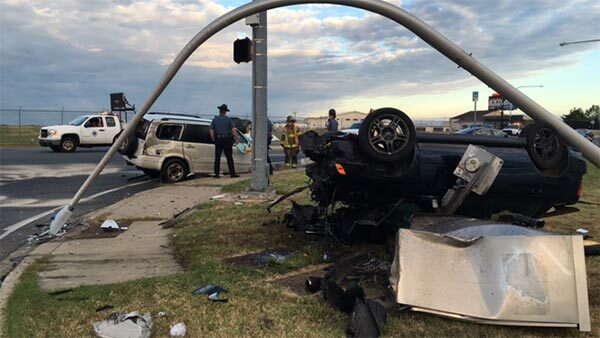 The crash happened before 7 a.m. at the intersection of Basin Road and Washington Lane. The accident involved a sedan and an SUV. 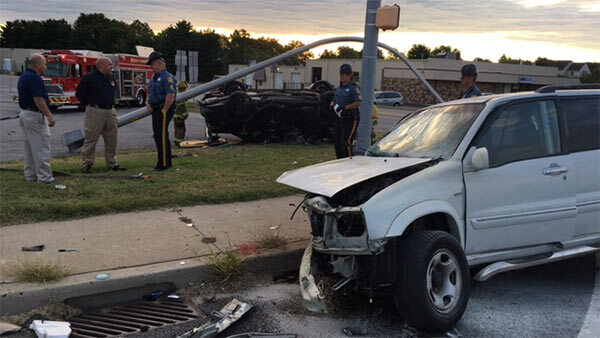 Two vehicles collided injuring teens in Wilmington Manor, Delaware Thursday morning. Police say a 17-year-old female was driving the SUV, and a 19-year-old male driver was in the sedan. 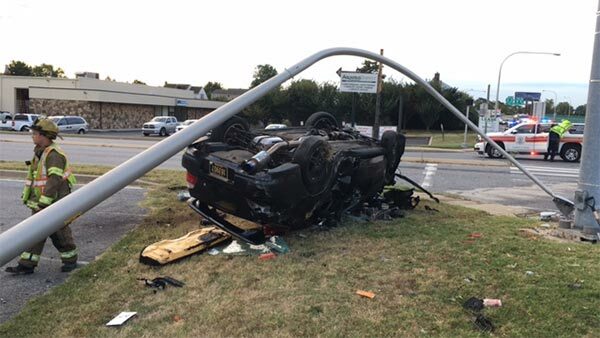 The impact of the crash caused the sedan to roll into a utility pole. Both victims were treated at the scene, and then taken to Christiana Hospital for treatment. The female suffered a possible head injury. She is in serious, but stable condition. The male suffered bruises and abrasions. He is in stable condition.